Here's A Toast To… Making It Through One Term and Looking at Another? 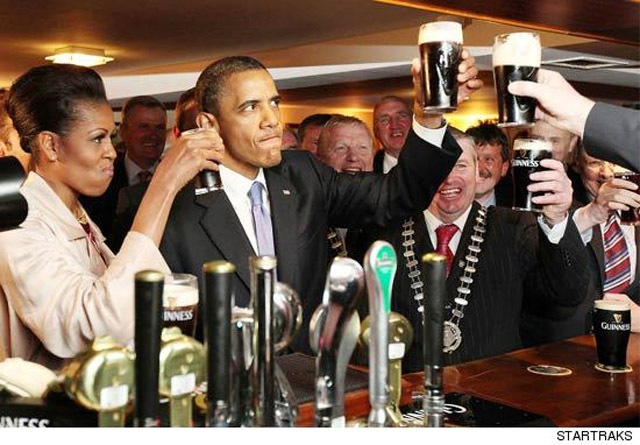 President Barack Obama and First Lady Michelle Obama enjoyed a icey, cold Guinness yesterday while in the Irish town of Moneygall, the home of the President’s great-great-great grandfather. 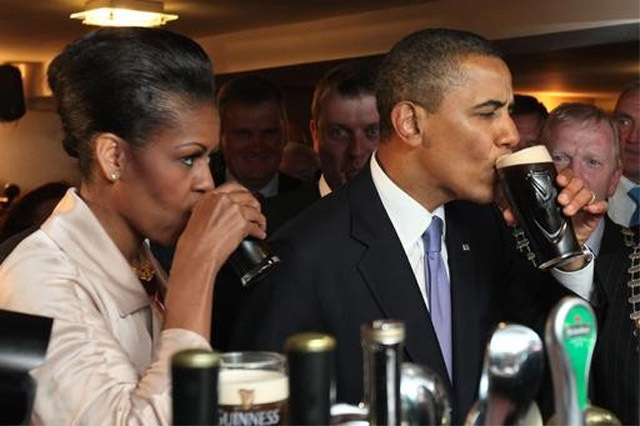 Aside from the outrage their indulgence in alcoholic beverages may have cause, according to what they're saying; doesn't the President make drinking a beer (THAT beer in particular) look good?